Oppo is one of the leading mobile phone brands in the world making powerful smartphones and feature at a low price. 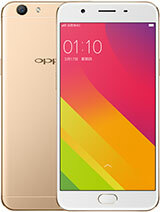 Oppo A59M Mediatek MT6755 CPU Octa-core 2.5 GHz Cortex-A53 32 GB built-in ROM and 3 GB RAM. This firmware update file is OTA update file for update of your Oppo A59M Via SD card. That method (OTA) you don't need to download the full firmware of your Oppo A59M from our download site you can check the update for your phone firmware automatically without any other requirements only connect your phone wifi and go to setting and then >About> then tip on software update if your phone have any updates you will find here if you smartphone has any firmware updates for here you can get latest updates after click on start downloading update when download compared you have to click on install and your phone will reboot and start updating. How to Flash Oppo A59M ? If you have CM2 MT2 Tool then you can format or read firmware file. or if you want to update via SD Card then download the update pacage and unzip it on your SD Card and then put phone in to recovery mode by holding vol down key and power key and then install update via SD card.